With the violinist Ian Cutts and a caller, Gail provides music for Regency costumed events and Scottish Country dancing. Gail has also performed in re-enactments from the Tudor to the Second World war eras, all in full costume. 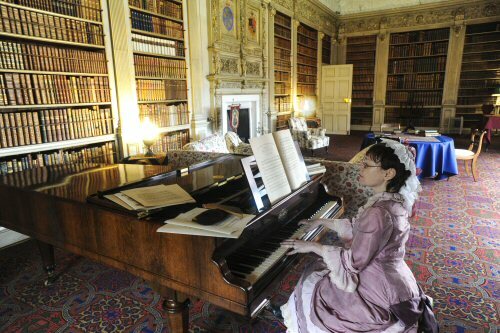 With a versatile attitude, she can research the required music for any historical period to give clients a unique and entertaining programme for all ages. She has also rehearsed and coached students at RADA, LAMDA and Guildhall School of Music and Drama.